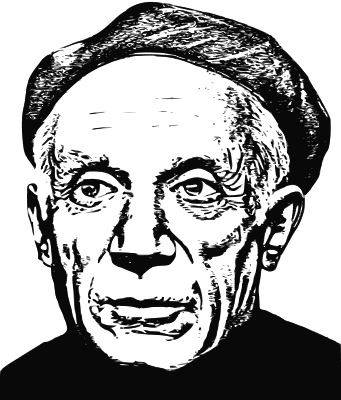 Pablo Picasso, one of the greatest and most influential artists of the 20th century, once said, "Our goals can only be reached through a vehicle of a plan, in which we must fervently believe, and upon which we must vigorously act. There is no other route to success." It's true: today, having a goal strategy is one of the most important leadership tools you have for achieving professional success. Recently, in support of Red Hat CEO Jim Whitehurst's new book, The Open Organization, several blog posts on Opensource.com and a Harvard Business Review article have discussed performance management. These writings prompted me to think about my own experience at Red Hat and, more specifically, about how being goal driven is an essential ingredient to one's professional career as well as company success. From 2004 to 2005, I was fortunate to be part of a Red Hat leadership program called Brave New World (BNW). Led by the company's People team, the program required each participant to chose a company-wide initiative for a year-long assignment. With guidance from a coach and an executive sponsor, each project team researched the area, developed recommendations, gained executive approval, and executed an improvement plan for their respective programs. I chose to join the performance management team. Although it didn't seem as glamorous or creative as other projects, it was one aimed at a very tangible outcome: empowering Red Hatters (associates) to achieve goals and align their contributions to the company's vision. During that year, I had the incredible opportunity to bond with a bright and passionate team. I learned not only about the benefits of a world-class performance management system, but also about valuing teams, championing ideas, and achieving goals. How I thought about goals changed significantly. It was an "a-ha" experience. Even today, these five steps to more specific, inclusive, and actionable goals remain an essential part of my leadership strategy. You can use them whether you work in an open organization like Red Hat, a Fortune 500 company, or the next big startup. I found having a goal strategy in a flexible performance management system (like the one at Red Hat) is important to thriving in an open organization's culture of transparency and participation. First and far most, you alone are charge of setting your goals. You must take steps to understand what the team, the department, and the company are trying to achieve, then determine how your role aligns with those goals. If you are regularly accountable for setting, executing, communicating, and assessing your goals, you can be very effective as a leader of a project or team. Do you walk the walk? Responsibilities are what you do every day, but a business goal is one focused on a value add—something aligned with your team, department, and company's goals. For example, "keeping the website from experiencing unplanned downtime" is a responsibility, but "creating and executing a multi-level plan for 100 percent web site resiliency by Sept. 1" is a business goal related to that core responsibility. Team-wide initiative goals focus on improving productivity, introducing innovation, or solving a problem. Once they select an initiative, team members work together to set goals, develop a plan, and execute that plan in (typically) a six-month time frame. For example, a significant product launch is happening later in the year, and it affects both your team and the stakeholders you support. In the past, confusion and misinformation have impacted your team's productivity and effectiveness. As a people manager, your goal is to streamline communications so your team receives the most accurate information and the product launch team receives valuable feedback. Once you assign an initiative team, that team identifies needs and goals, creates the action plan, and gains approval prior to execution. This goal is related to applying what you learned while completing training, attending a conference, or reading books. Don't stop with being a better subject matter expert. For example, let's say you want to become Hub Spot inbound marketing certified. That's a partial goal. A more valuable goal is building a marketing campaign based on specific, repeatable best practices that you can share with your team. Having a flexible and repeatable goal framework has many benefits, including recognizing individual achievement, building highly capable teams, enabling collaboration, and transparency within an organization. The teams I lead rarely have one goal for more than two quarters. To be effective, relevant goals have a short life span and we accomplish, retire, or sometimes cancel them on a regular basis. When setting annual goals (even with a six-month review process), consider how effectively your goals will drive project success and professional development on a "30-60-90-day" basis. What would make them more effective? Do some goals need to be updated, retired, or cancelled? In my experience, short-term, simple goals are more effective for building confidence, learning lessons, and responding to changes in business. How informed are you about your colleagues' and team's goals? How about the goals of other departments? To be a successful, you must align your goals with other teams in your department—as well as the long-term company vision. Doing this empowers you to break down any communication silos and enable your team and department to have a broader impact. It can also lead to higher job satisfaction. Start by sharing your goals, learning about others, and finding places of overlap where you can collaborate for even bigger success. As you lean into the second half of the year, look at your personal goals and those of your team. Are they aligned well with your organization's overall direction? Do any goals need to be updated, retired, or cancelled? If you lead a team, what incremental changes are necessary in the next six months to help your team be more collaborative, more productive, and accomplish their goals? How knowledgeable are you about your colleagues' goals? Pablo Picasso was an exceptionally gifted artist and was universally recognized for his revolutionary accomplishments, not only because of his very special talent but also in large part because he was goal driven. Don't underestimate the power of goals. Specific, inclusive, and actionable ones are your most important vehicles for leadership success. As a result of your mastery, you will be rewarded by having your ideas accepted, by seeing your teams accomplish their goals, and by being valued for your efforts. Merry Beekman - A senior marketing leader with extensive expertise in B2B and B2G strategic planning, demand generation and marketing operations. Thoughtful article about an important and often neglected topic, thanks!